[toc]It is normal to feel anxious occasionally. However, feeling anxious or nervous all the time can turn your life upside down. Anxiety can best be described as that vague feeling of fear, worry or unease which accompanies a stressful situation. People of all ages suffer from varying degrees of anxiety at different points in their life. Children tend to become overly anxious around the time of their exams. Family problems and demanding jobs can trigger feelings of anxiety or panic attacks among adults. Severe anxiety levels can lead to multiple health problems in the long run. There are numerous options to keep rising anxiety levels in check. But unfortunately most of the conventional options to fight anxiety like therapy and medications are not very popular, because of the expense involved. 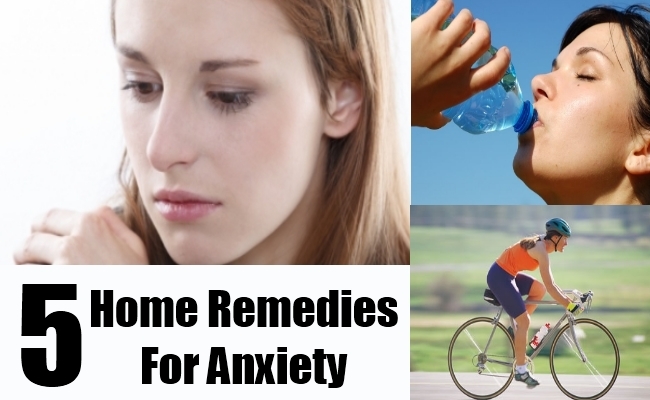 Home remedies on the other hand can help to bring down anxiety levels without causing any unpleasant side effects or burning a hole in your pocket. Something as simple as a glass of water can ease feelings of extreme unease or nervousness. Sudden and inexplicable feelings of anxiety / unease can be caused by mild to severe dehydration. Drinking adequate amounts of water will not only ease the symptoms linked to anxiety, but it can also improve the way you cope with a stressful situation. So, the next time you feel anxious, just drink a glass of water and stay calm. 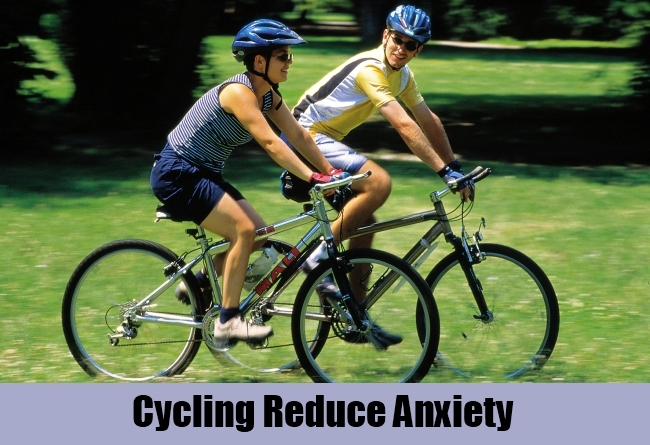 One of the best home remedies for anxiety is exercise. Exercising for as little as half an hour a day can banish stressful thoughts from the mind. It also regulates the release of stress hormones like norepinephrinen and cortiol. People who experience high levels of anxiety are advised to perform self-soothing exercises like Pilates or yoga, along with moderate intensity activities like walking, swimming, cycling or dancing. Exercising also helps to improve overall self esteem and physical well-being as well. Anxiety is your natural reaction to a stressful situation or an isolated event. The ‘fight or flight’ mechanism which has been an intrinsic part of the human evolutionary process can leave a person feeling mentally, physically and emotionally drained or devoid of all energy. A soothing warm water bath can gently ease anxious thoughts from your mind. 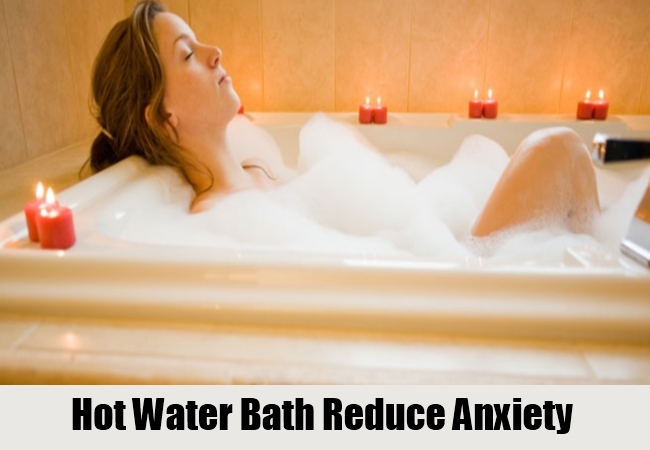 People who suffer from high anxiety levels should take a soothing warm water bath at least twice a day to relax their body and mind. The next time you are plagued by the symptoms of anxiety, drink a cup of freshly brewed green tea. Green tea contains an important amino acid called L-theanine. Detailed medical research has shown that this particular amino acid can actually curb rising anxiety levels. People who feel anxious constantly are advised to drink five to six glasses of green tea through out the day to reduce negative feeling like uneasiness or sadness. 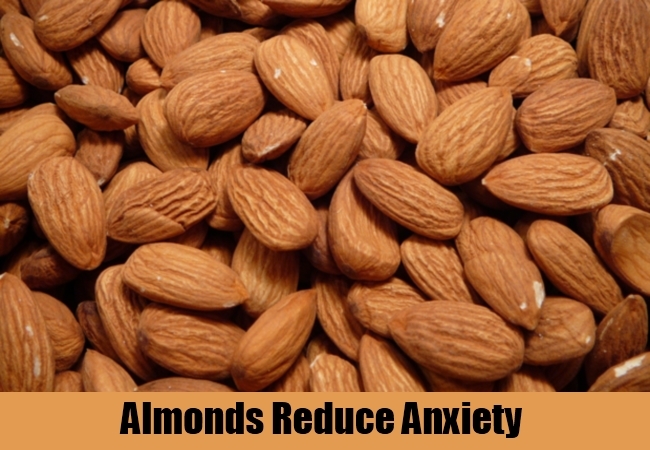 Soak five to ten whole almonds in a bowl of warm water. Remove their skin and grind them to a fine paste in a food processor. Blend the almond paste in a glass of warm milk. Add a pinch of turmeric, a small pinch of dried ginger powder and tiny pinch of nutmeg powder. Drink this milk just before turning in for the night. The warm almond milk reduces feelings of anxiety and will help you get good nights sleep as well.